Travel Design creates unique incentive programs to serve as a relaxing retreat for your employees, after all treating your employees to a nice trip will surely yield various advantages, you’re showing your employees that you are aware of their contribution to your company and that you value them enough to organize a fun trip for them. Of course, we will be the ones organizing as it is our field of expertise and we work day and night to come up with the best incentive programs. Incentive programs in Marrakech will make your employees appreciate the company more, and obviously having fun is one of the reasons they’re coming on this trip. 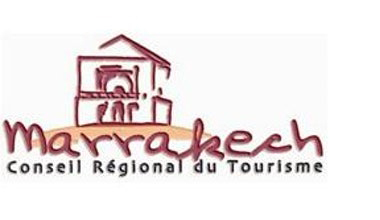 Professionally created and with attention to detail our incentive programs in Marrakech include fun activities and venues that go well with your message that you intend on passing on to your appreciated employees. Incentive programs in Marrakech offer you a wide variety of choices in order to satisfy your employees or just create stunning events that will forever be memorable. The ideas that we offer are quite the incentive, and of course with the use of the latest technology. Individually designed and perfectly executed, the incentive programs in Marrakech will definitely give you the opportunity to explore and enjoy Marrakech without having the need to worry about the management fuss and organising venues. With our countless ideas for organising fun and enjoyable activities in Marrakech, the troop will surely have the time of their lives. And if your company prefers a more luxurious setup, you will be offered a wide variety of choices, choosing between different stunning venues with Moroccan architecture and a stellar design, the ideas as we said are countless and enough to match any of your event preferences.